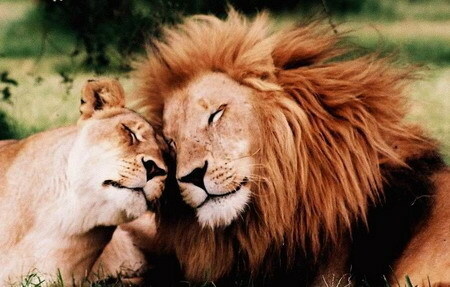 Beautiful Lions in Love. . Wallpaper and background images in the Lions club tagged: love lioness lion. Mufasa and Sarabi or Simba and Nala :D!!! Cute. Hope she doesn't already have cubs though or he'll kill them. That wouldn't be cute. Nice pic though.